My grandfather has recently passed away and this is a ring he always used to wear. 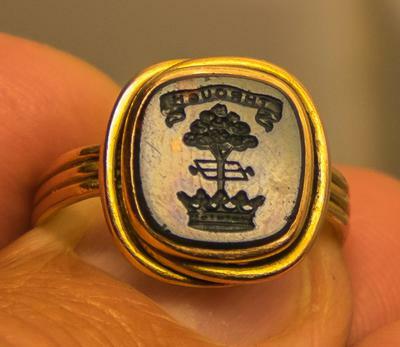 It's an old bloodstone signet ring and he was given this ring by his mother sometime around 1930 in Stockholm, Sweden. 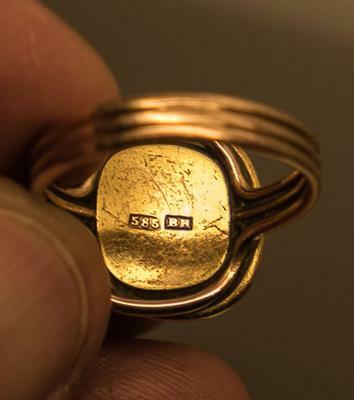 I am very curious about where this ring actually comes from and whom it might have belonged.